The 31.9? 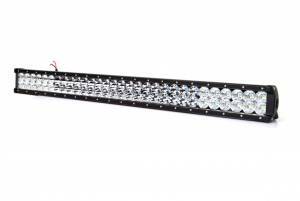 Double Row 180 Watt LED light bars contains 2 rows of high power CREE LEDs creating approx 18,000 lumens. 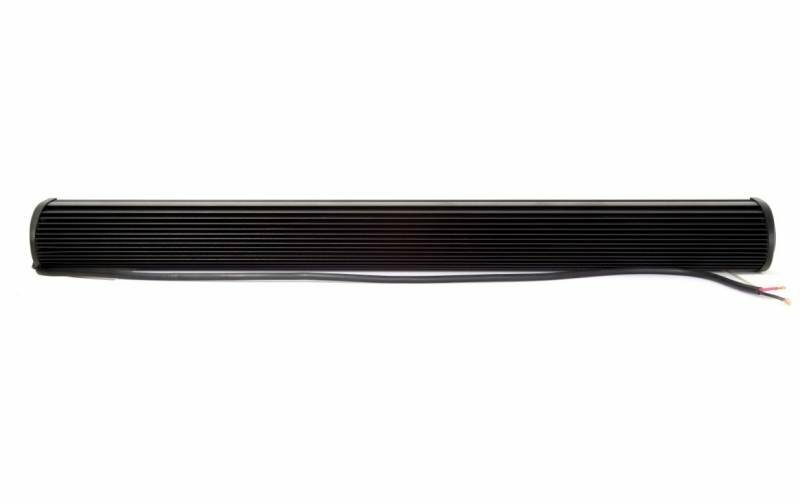 The mount included allows you to adjust the angle of the light bar to any position. 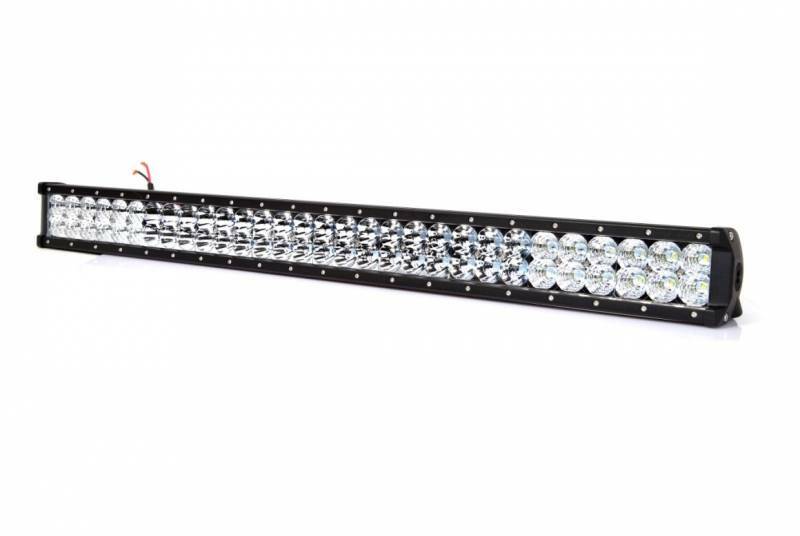 The 180 watt double row LED light bar makes a great bumper or roof light. 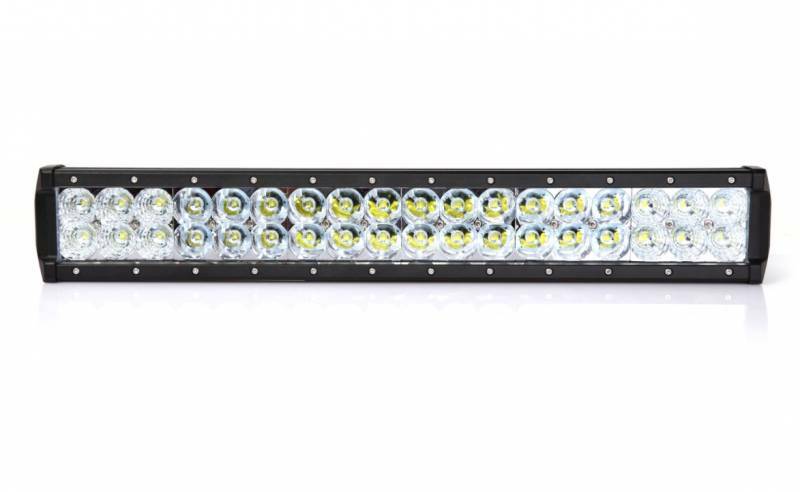 With USA made CREE LEDs, and military grade casing you can rest assured this light bar will hold up in any offroad conditions.